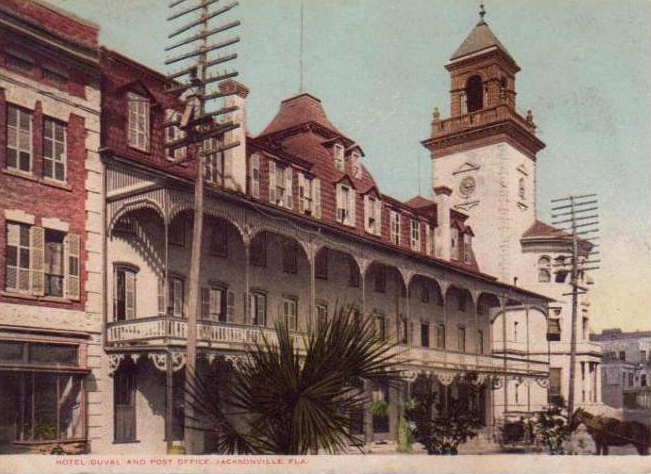 128 West Adams Street, Downtown, Basement of the Old Furchgott’s Department Store Building, a Bland Five-Story Structure for Which Was Demolished in 1946 the Post Office Tower, a Marble Building Topped with a Bell Tower, Tall as a Lighthouse, the Tallest Building in the City at the Beginning of the 20th Century, One of the Most Beautiful Buildings in its Skyline, Built in 1895, Six Years Before the Great Fire Destroyed Almost the Entire City and Would Also Have Destroyed the Post Office Tower if it Were One Block North. The Great Fire of 1901 Didn’t Destroy the Post Office Tower; Furchgott’s Department Store Did. 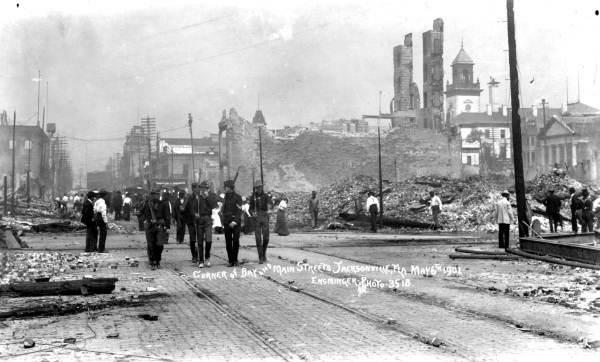 In a Famous Photograph Taken Just after the Fire, Three People Stand amidst the Blurry Gray Ruins of the City, While Others Walk toward Them from a Parked Carriage, the Burnt Out Hulls of a Few Buildings Standing in the Dust and Ash in the Air, and What Looks Like a Burnt Tower in the Back of the Image is Instead, the Post Office Tower, Ghostly and Grayly Visible through the Ash and the Dust. It’s Not a Burnt Tower, But Instead Stands Firm Just the Other Side of the Scrim in the Air. In this Post-Apocalyptic Image, the Tower is Whole. It Watched the Entire Conflagration. Ting, he realizes he’s been here before, the last time he came through this city. This place wasn’t this place then. Then he was younger and had been drinking something harder than Carib and running in circles in a mosh pit in front of the stacks of Marshall amplifiers blasting walls of sound from a death metal band called Kreator. Same place, vastly different, but not so different. It was a place called the Milk Bar then, named for the lounge in A Clockwork Orange. Presently in the hammering of deafening dancehall ragga, Will’s wondering if the Milk Bar appears in Anthony Burgess’s novel, or only in Kubrick’s film.